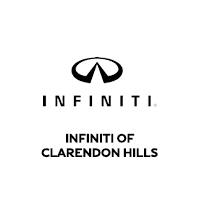 The Service Center at INFINITI of Clarendon Hills lets you service your INFINITI in comfort. We have an extensive fleet of INFINITI loan vehicles for your convenience. INFINITI Valet service is also available within our valet range of 10 miles. Every service comes with a complimentary car wash.
INFINITI Express Service is designed to provide expert service at your convenience. All the services are performed by our highly-trained technicians using genuine INFINITI parts. Enjoy all the amenities of our guest lounge while we perform express services on your INFINITI. Simply drive up to service and we will assist you. No appointment is needed on express services. Every Express Service includes a complimentary Multi-point Inspection.